On October 29, 2017, at Carnegie Hall in New York City, the 15th annual Lucie Awards will hold its gala. In addition to celebrating legendary photographers, the Lucie Foundation will bestow its Humanitarian Award on the Josephine Herrick Project, a nonprofit organization that engages professional photographers to help educate underserved communities on the power of photography, in addition to providing a variety of photography programs. Herrick, a visionary photographer, feminist and philanthropist who believed in rehabilitation through photography, founded the nonprofit in 1941. The following professionals will be honored at the gala: Larry Fink for Achievement in Documentary; Dominique Issermann for Achievement in Fashion; Abelardo Morell for Achievement in Fine Art; Judith Joy Ross for Achievement in Portraiture; and Steve Schapiro for Achievement in Photojournalism. Photographer Art Shay will be the recipient of the Lucies’ Lifetime Achievement Award. For the first time and in order to engage those interested in the arts, the Lucie Awards is introducing public nominations (which can be made here) for the Double Exposure Award, which recognizes achievement in photography and other creative fields. The Double Exposure Award winner has only been named three times—Graham Nash, Jessica Lange and Michael Nyman are past winners. Also presented will be The International Photography Awards, the global competition in joint partnership with The Lucie Awards. The top four winners will be announced, including the Photographer of the Year. Learn more about the Josephine Herrick Project, and learn more about The Lucie Awards. The Lucie Awards ceremony returns to New York to once again honor the legends of photography with exciting new initiatives and an extraordinary line-up of recipients. The 15th Annual Lucie Awards gala promises to be an engaging celebration, weaving musical surprises throughout the evening. With the aim of engaging the creative public, The Lucie Awards introduces public nominations for the DOUBLE EXPOSURE AWARD. The DOUBLE EXPOSURE AWARD, bestowed only three times in The Lucie Awards’ history, will now be open to public nominations via this link: http://www.lucies.org/double-exposure-nomination/. Prior winners of this prestigious honor include singer-songwriter-photographer Graham Nash; Oscar, Emmy, Tony award-winning actress and photographer Jessica Lange; and composer, performer, filmmaker, and photographer Michael Nyman. Each winner has achieved great notoriety in both photography and one or more other creative fields. Additionally, Lucie Foundation will offer cash prizes for the newly established Lucie Photo Book Prize, winners to be announced during Lucie Week activities, this October. The Lucie Photo Book Prize winners will have cash prizes bestowed upon them: The Lucie PhotoBook Prize – traditional award garners a $3,000 award and the independent award, $2,000. The top 30 finalists will have their works displayed during the IPA Best of Show Party. The Lucie Foundation, along with it’s Advisory Board, has announced an impressive list of seven honorees for the 15th annual Lucie Awards, in addition to the soon-to-be-announced Double Exposure Award Honoree. Josephine Herrick Project as the recipient of the Humanitarian Award. The Red Carpet Gala ceremony will be held at New York’s renowned at Zankel Hall at Carnegie Hall, on Sunday, October 29, 2017. In addition to recognizing these six masters in their fields plus the Double Exposure Award, the Lucie Photo Book Prize winners, and the Josephine Herrick Project, The Lucie Awards also honors the year’s best photographic achievements by presenting seven Support Category Awards. These categories range from Fashion Layout of the Year to Curator/Exhibition of the Year. These Support Awards acknowledge the individuals and institutions that play an important part in the crafting and promoting of images. At this year’s gala, The International Photography Awards (IPA), the outstanding global competition and sister-effort of The Lucie Awards, will announce the top four winners, including the Photographer of the Year sponsored by AtEdge. The IPA has awarded over $250,000 in prize money over the last 16 years. Winning work is displayed in the coveted annual Best of Show exhibition at Splashlight, during Lucie Week. 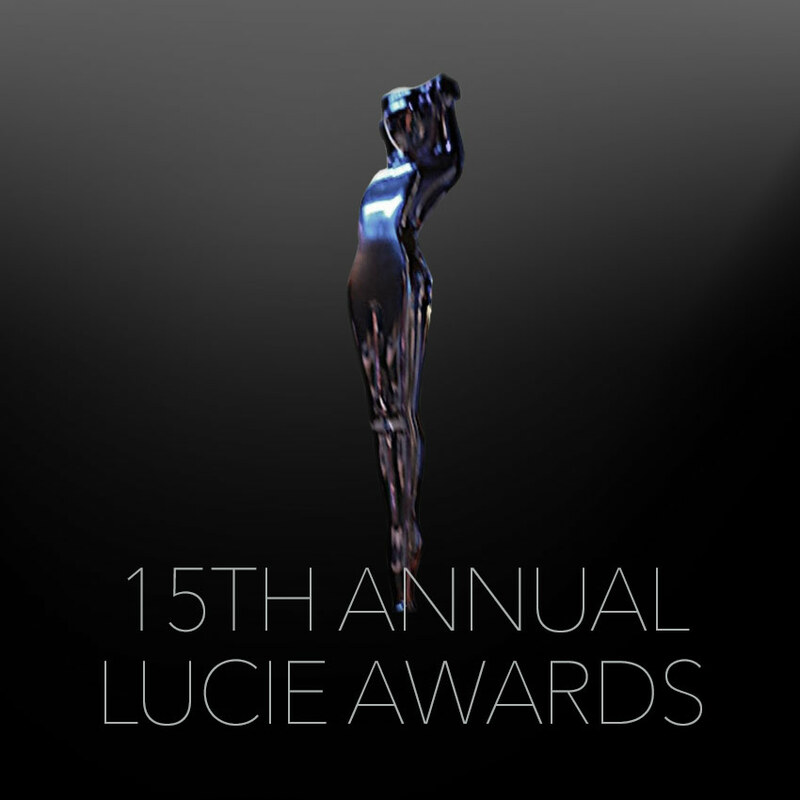 The Lucie Awards is a signature program of the Lucie Foundation. Tickets will be available at http://www.lucies.org/tickets/ on July 29, 2017. Josephine Herrick Project is a nonprofit that enlists professional photographers to educate students who have not had the opportunity to learn the communicative power of photography. Through partnerships with local organizations, JHProject’s completely free programs inspire children, teens, adults and seniors with the visual language of photography, enhancing their abilities to transform communities through artistic vision. Since 1941, the Josephine Herrick Project (formerly RTP), a 501 (c)(3) not-for-profit organization, has implemented a broad range of photography programs, providing training, direction and equipment to undeserved communities. JHP believes that by providing a creative platform to the physically and emotionally challenged, the elderly, at-risk youth, homeless and the visually impaired populations, this will both inspire and enable individuals to channel their energy in an open and expressive way. This reinforces independence, self-confidence and a sense of accomplishment that rekindles a lasting interest and enthusiasm about life. No longer are they labeled by their disability but they are enabled by their ability to connect to and capture the world around them through photography.